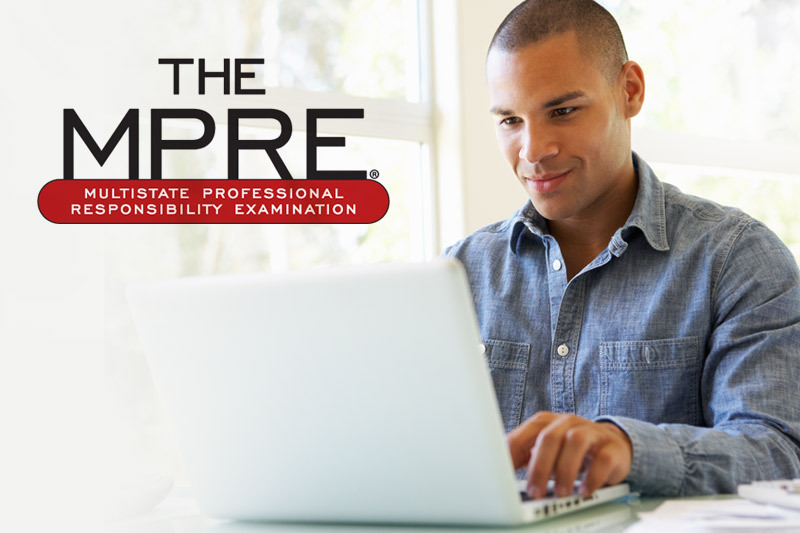 Getting ready for the Multistate Professional Responsibility Exam (MPRE) requires more than just knowing the format and reviewing the material. There’s so much more to it than that. Besides studying for the MPRE, you have to mentally prepare for the exam. Too many times students know the information they’re being tested on, but didn’t take care of themselves prior to the exam so they weren’t able to perform to the best of their abilities. Getting in gear mentally for an exam is a major part of the preparation process. This seems like an obvious piece of advice, but it can be easier said than done so it definitely earns a spot on the list. Not all law students are able to stop working and focus on all of their attention on studying for the MPRE (although this is highly recommended). We understand that many students may have families or full-time jobs they need to pay the bills. However, make sure that you recognize just how important this exam is and dedicate as much time as you possibly can to studying for it. Signing up for a review class, such as Pieper Bar Review’s free MPRE course, is a way to not only help you better understand what it going to be on the exam, but also help you prioritize your time. This can lower your stress levels because between attending the lectures (or watch them on iPass) and completing the assignments, you know you’ll get in a lot of study time. Plus, having informative instructors reviewing the information with you and teaching you study techniques will provide a sense of comfort because you won’t stress out if you don’t completely understand something. Instead, you can turn to your peers and instructor with any questions you have. It’s not just about saying to yourself that you may be able to fit in some study time later in the day—it’s about creating a schedule days in advance in order to keep up with your work. Carefully mapping out when you’ll study and what topics you’ll cover is one way to keep yourself from getting too overwhelmed. The exam covers a lot of information, so you don’t just want to read over your notes aimlessly—you must have a plan so that you will review everything you need to. Similarly to taking a review course, organizing your time can help you feel less anxious for the exam because you won’t question whether or not you studied all the necessary information. As long as you follow through with your plans, you’ll be in good shape. The MPRE is an important exam, so being stressed out is completely normal. In fact, it would probably be worrisome if you weren’t at all nervous for the exam. The key is learning to harness that anxious energy and utilize it when taking the exam. Nonetheless, you don’t want to be so overwhelmed and stressed out that you cannot think clearly and start to doubt yourself (see #7). You should be getting enough sleep every night, not just the day before the exam. According to WebMD—an organization dedicated to informing the public about health and medical information—sleep deprivation negatively affects your ability to focus and absorb information. Besides hindering how well you can concentrate, WebMD also points out that a lack of sleep can actually hurt your memory. “In 2009, American and French researchers determined that brain events called “sharp wave ripples” are responsible for consolidating memory. The ripples also transfer learned information from the hippocampus to the neocortex of the brain, where long-term memories are stored. Sharp wave ripples occur mostly during the deepest levels of sleep,” WebMD states. This is why you shouldn’t be going to bed every night right before sunrise. Make sure you get a good 8 hours or so. Then you’ll feel refreshed and ready for your day. Have you ever been so hungry that you couldn’t concentrate? Well, there’s a reason for that. Similarly to getting a good night’s sleep, eating a healthy breakfast the morning of your exam is imperative. If all you can think about is how hungry you are while taking the exam, you’re not going to be able to direct your attention to answering each question to the best of your ability. As stated before, it’s perfectly normal to be a apprehensive about the exam, but that doesn’t mean you should spend all of your time thinking about how stressed out you are and convince yourself that you’re going to fail. If you’ve taken all of the necessary steps to preparing for the exam, then you shouldn’t show any self-doubt. Even if you’re not sure what the answer to one of the questions is, just relax, take a deep breath, and refer back to the techniques you learned in your review course.